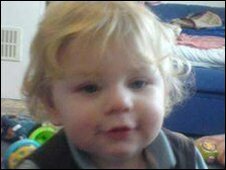 The children's department charged with looking after a toddler who died at the hands of his family was the "worst ever seen", an Ofsted inspector has said. 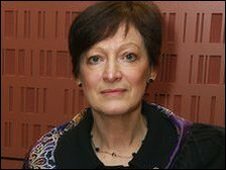 The claim was made in a judicial review of the sacking of Haringey's children's services director, Sharon Shoesmith, in the wake of the Baby Peter killing. Peter Connolly had over 50 injuries when he died aged 17 months. The High Court is hearing Ms Shoesmith's claim that she was removed from her post unlawfully. The judicial review heard Ms Shoesmith has been left financially ruined and suicidal following her dismissal by the children's secretary Ed Balls. Her barrister said she was a victim of a "flagrant breach of the rules of natural justice". However Heather Brown, Ofsted's lead inspector in the review of Haringey's services, said: "The concerns that arose from this exercise were extremely serious - fundamental to the way that safeguarding systems were operating in Haringey." She said the quality of practice in the department was the "worst I had ever seen", with "only a single example of good practice" found in the whole inspection. Tim Ward, for Ofsted, said in submissions to the court: "The matters raised before her (Ms Shoesmith) were evidently of a glaringly serious kind - especially so to a person in the position of director of children's services." Peter Connolly's death came at the hands of his mother Tracey Connolly, 28, her partner Steven Barker, 33, and Barker's brother Jason Owen, 37, who were all jailed. As the details of Peter's short life were made public, along with the missed opportunities to save him, Ms Shoesmith became a target for public anger. Sharon Shoesmith's name is synonymous with the case of Baby Peter. His death, after months of abuse, caused a national outcry because he was on Haringey Council's at-risk register. The former head of children's services in the borough was removed on the orders of Schools Secretary Ed Balls. The 56-year-old claims she has been vilified by the press and made a scapegoat. More than one million people signed the Sun newspaper's petition calling for heads to roll. She says the media pressure played a role in her dismissal. Ms Shoesmith has also been criticised for defending her department's actions and not apologising after the trial, but she claims she did say sorry. However she has had her supporters - more than 60 head teachers wrote a letter calling her "an outstanding public servant". In a BBC interview, she said the way ministers handled the Baby Peter affair was "breathtakingly reckless". She also said she had contemplated suicide. The toddler had been on Haringey's child protection register at the time of his death. The Serious Case Review Ms Shoesmith chaired into the case found lessons needed to be learned but that none of her staff deserved to lose their jobs. But in December 2008, following a damning report into Ms Shoesmith's department by Ofsted inspectors, Children's Secretary Ed Balls removed her from her post. A week later she was dismissed by a panel of Haringey councillors without compensation. She tried to overturn the decision to sack her but a panel of councillors rejected her appeal. This prompted Ms Shoesmith to launch the judicial review of her dismissal at the High Court, arguing Haringey Council, Ofsted and Mr Balls treated her unfairly and illegally. James Maurici, appearing for Ms Shoesmith, described how she was still recovering from post-traumatic shock. He said her dismissal had ruined her career and led her to thoughts of suicide. He told Mr Justice Foskett: "As matters stand the simple fact is the claimant will never work again. "She has been financially ruined and her health has been very seriously affected." Mr Maurici accused Mr Balls of "convicting the claimant with no opportunity whatever to be heard". It was "extraordinary" how the secretary of state had convicted the claimant with no opportunity whatever to be heard - "there is no doubt that is the case", said Mr Maurici. He told the court Ms Shoesmith was not given an opportunity to see the Ofsted report, nor details of the oral presentation given by Ofsted inspectors on which Mr Balls had acted. She also had no chance to challenge "a number of highly prejudicial comments made by Ofsted inspectors to the secretary of state in the course of that meeting". He said she had been deeply shocked and saddened by Baby Peter's death and contrary to what had been reported, Ms Shoesmith had on numerous occasions said how sorry and distressed she was about Baby P's death, and had not refused to apologise to the child's father. Mr Maurici said Ms Shoesmith's performance as director of children's services had been the subject of positive appraisals since 2005, when she took up the position. In 2006, a review involving Ofsted and the Healthcare Commission rated Haringey's children's services overall as three, out of a possible four, and its child social care as two, or "adequate".